Today, 12th May 2012, Madeleine McCann will be celebrating her nineth birthday. Five of these years have been spent away from family, away from siblings, away from her parents. We, they, still dont know where she is and who she will be celerating her birthday with today. 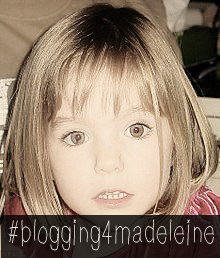 Madeleine has been missing since 3rd May 2007 from Praia de Luz, Portugal. Francois Hollande set out his stall in Berlinlast night, a new pact that will put growth ahead of austerity. It’s his attempt to yank the European economic debate to the left, away from budgetary rigour and towards more stimulus-through-borrowing. Indeed, Mrs Merkel said that the Greeks had already signed up to rescue programme, adding: “I believe that memorandum must be respected.” Wolfgang Schauble, Germany’s finance minister, however, says that there can be no negotiation. The uncertainty continued to give the markets a beating with European bank shares hammered for a second day running and Italian and Spanish benchmark 10-year bond yields climbed. Read the FT (£) report. George Osborne has tried to play down the Hollande threat but the Government must answer it. Step forward David Cameron, who will give a major speech on the economy tomorrow to map out the British response to what he says is the defining issue of our time. The choice between austerity and growth is a myth, he will say. If you don’t sort the deficit there won’t be any growth. Hence the Government’s tight fiscal-loose monetary policy (to which you might say that fiscal policy is not tight enough and loose money is the Bank’s doing). On Monday, Mr Cameron met with business leaders to push the multitude of measures deployed by the Government to oil the economy. No 10 claims they accept the Government is doing the right thing. On the euro, Mr Cameron recognises that Greece presents a clear and present danger to the UK and it is his job to protect us against the blowback of Grexit. You can’t have growth instead of austerity, he will say, and thinking otherwise leads you to the scenes from the streets of Athens. Mr Cameron can see the debate across the Channel shifting, and he wants to head it off before it becomes unstoppable. A drenching, a lightning strike, and then a collision with Angela Merkel on the red carpet made it an omen-tastic day for Francois Hollande and the euro. Key words from Christine Lagarde suggest the IMF has cut Greece adrift. It may all be an attempt to terrify the Greeks into voting for EU austerity, but surely it’s gone too far now. Expect attention to focus on the how of an exit, and what happens next. David Cameron appears at PMQs today at noon, facing up to inflation and unemployment figures and Labour’s latest attack line using the EU growth figures that show no recession in the eurozone – but only if you don’t bother to look at the breakdown. The FT (£) analyses the question of the contrast between recessionary UK and barely growing EU. While Liam Fox pops up in the pink pages to say we should learn from Germany on employment law. Although it’s worth noting that Theresa May announced yesterday that she will unwind Harriet Harman’s Equality Act, having bizarrely accepted the ‘socialism in a Bill’ legislation when she first came to office. GOODBYE STEVE, HELLO CIVIL SERVICE SHAKEUP? In my column today, I discuss Dave’s need for the politics of hate as he loses one of his closest allies Steve Hilton who flies to California this morning, leaving behind an unfinished package of changes to the way Whitehall works. The Times (£) reports that think tanks could soon be doing the policy development work of the civil service. Frustration with the way the machine got in the way of the revolution he wanted often led Steve to blow his top. 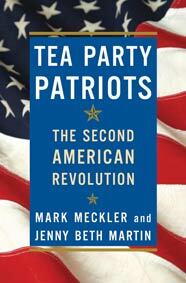 As I explain, Ed Llewellyn would call him in periodically to rebuke him for shouting at officials. Steve would complain afterward: “Ed never asks me what they did to make me shout at them”. Alice Thomson’s column in the Times says the civil service should “welcome” the idea. Steve is also leaving behind another bombshell. We’ve splashed on a policy paper he presented to Mr Cameron that considered ordering billions of pounds in extra welfare cuts. Iain Duncan Smith is understood to have given a cautious welcome to the plans. However, he has not costed the proposals and has publicly indicated previously that he does not believe his department should be forced to make disproportionate levels of cuts beyond those required elsewhere. And it’s all change in Labour’s camp too. Ed Miliband has done his reshuffling. He’s promoting Jon Cruddas to co-ordinate Labour’s policy review, and demoting Liam Byrne. Read the Guardian’s report. Jeremy Browne is also saying work harder, echoing William Hague who said it first in Sun Telegraph and repeats it in the Guardian today. James Kirkup blogs on Mr Browne’s comments. But all this won’t distract David Cameron from the 1922 Committee elections today. The last votes will be cast this afternoon and the results should be available this evening. The Chairman Graham Brady and Treasurer Brian Binley, both traditionalists, have been returned unopposed, but the nominees up for election on the executive are a more interesting mix – many appearing as part of modernising or traditionalist slates. Read Donata Huggins’ blog for more detail. Mr Binley, 1922’s Treasurer appeared on the Today Programme earlier, saying that it’s a “very grave error indeed” for Mr Cameron and Mr Osborne to have invited members of the modernising 301 Group for drinks with these elections taking place, while Jackie Doyle Price from the 301 Group says the 1922 Committee needs to start reflecting the situation that the party is in. Labour MP Gavin Shuker lets us know just how glamorous life is as an MP. should be visited on the kids. This is a sentiment we often see on the internets. We shouldn’t improve the quality of school lunches. If parents cared, they’d be feeding their kids organic meals full of veggies made from scratch every night so one meal a day wouldn’t hurt them. Personally we suspect a lot of this sentiment is disguised racism. Who cares about black kids or Hispanic kids. It’s their fault for being born something other than anglo-saxon. But maybe not– the internet seems to think just as poorly of rural white parents from West Virginia.